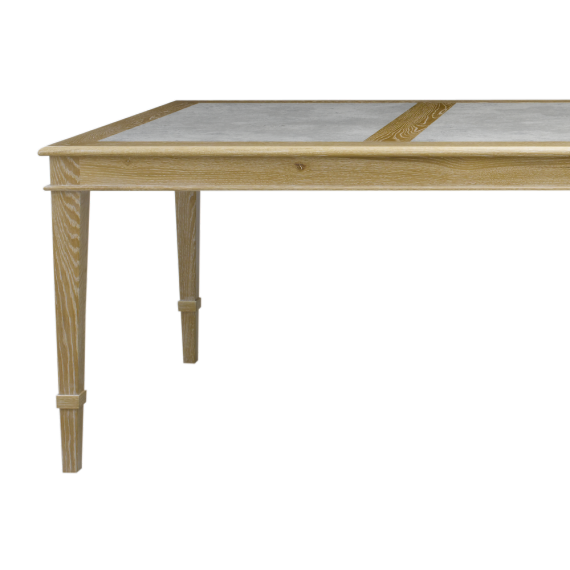 The sweeping elegant lines are giving the Lalique dining table a sophisticated and luxurious look and feel and yet very practical giving people seated at the table plenty of leg space. The Lalique Dining Table is made of Black lacquered timber and displayed here with a glass top. 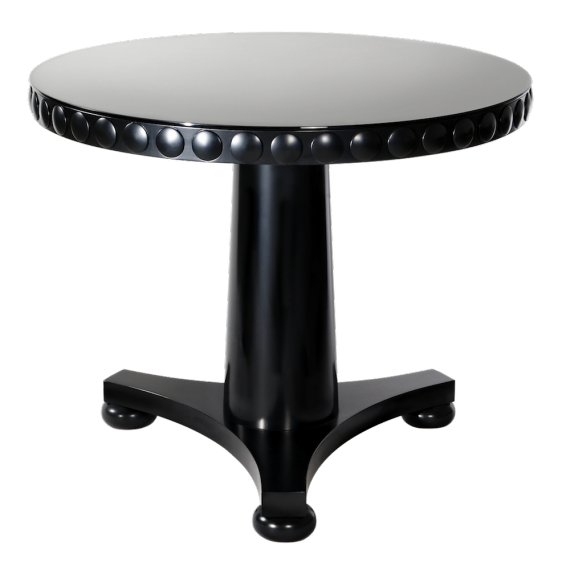 The Lalique Dining Table is part of the popular Lalique design collection by James Salmond Furniture for its sculptural detailing and sweeping lines, and is featured in side tables, entry tables and dining tables. 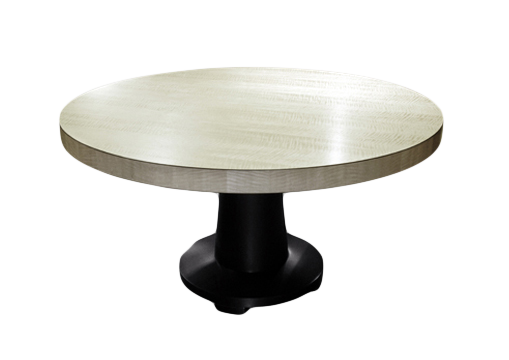 When looking at this most elegant table and sweeping legs you get to enjoy the sculptural features from different angles. 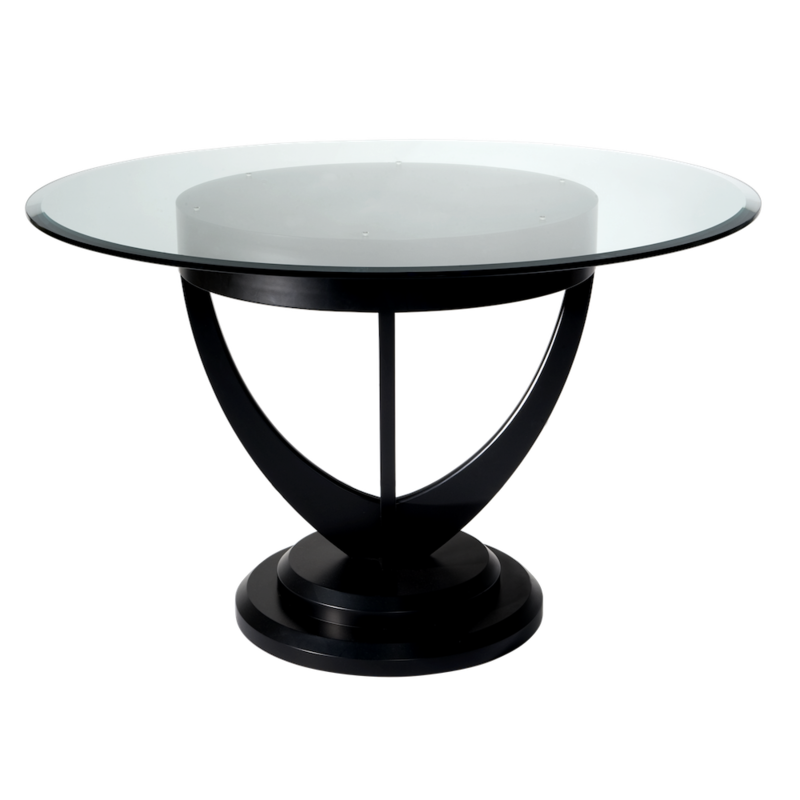 The thick glass top sitting on actual designer furniture piece in black give a different look to to the sweeping lines and also subtly give a luxurious reflection of what’s on the table. Practical and easy to clean. Available in customised timbers and glass tops for unique styling and individual preferences in your home. 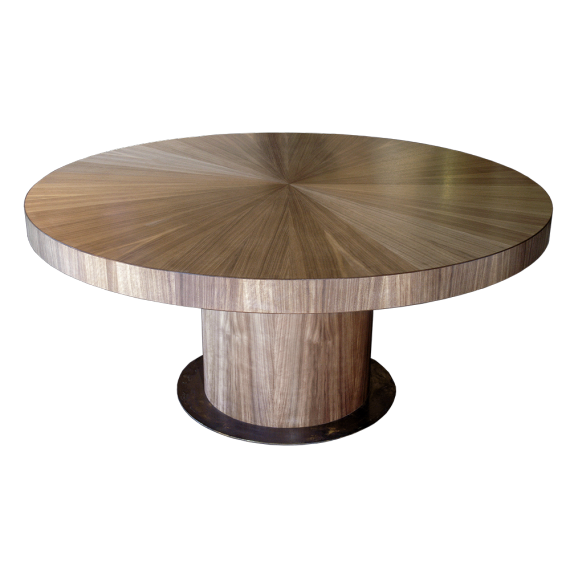 Would you like to customise this piece to your taste or requirements? We will be more than happy to reply to any of your questions! All pricing excludes shipping costs. All our pieces can be shipped to anywhere in Australia.